Chicago's enigmatic wizard is back in a new collection of short stories previously published, along with some juicy new ones. 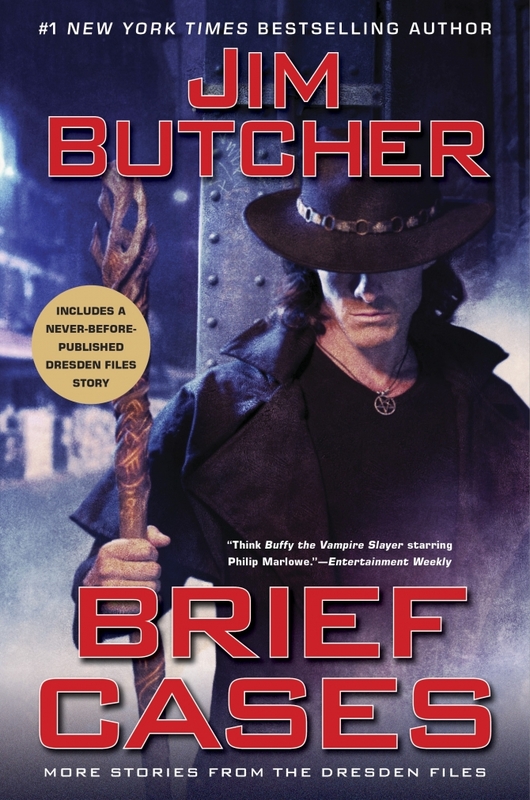 Following the success of Side Jobs, Jim Butcher outs his new collection titled Brief Cases. This will definitely keep the rabid and hyperactive fans at bay after waiting for quite some time for the next Dresden Files novel (Peace Talks) or the second book in the Cinder Spires series (The Olympian Affair). Most of the stories included are not new if you have been following Butcher's stories in anthologies, but what is great about this new collection is it will include new ones and commentary for each story from the author himself. Check out the cover of Brief Cases by Jim Butcher. "I was a Teenage Bigfoot", from BLOOD LITE 3: AFTERTASTE, edited by Kevin J. Anderson. Republished in WORKING FOR BIGFOOT. "Bigfoot on Campus", from HEX APPEAL, edited by P. N. Elrod. Republished in WORKING FOR BIGFOOT. Brief Cases by Jim Butcher will be released on June 5, 2018. It's been, what, almost 10 years since the release of Mamma Mia! movie musical and it is still as relevant to me as it were released yesterday (and I did actually watch it yesterday). So it is no wonder that a sequel, Mamma Mia! Here We Go Again, is in the works and will be ready for everyone to devour just around the first movie's 10th year anniversary. Mamma Mia! Here We Go Again is directed by Ol Parker and stars Christine Baranski, Pierce Brosnan, Dominic Cooper, Colin Firth, Andy Garcia, Lily James, Amanda Seyfried, Stellan Skarsgård, Julie Walters, Cher, and Meryl Streep. 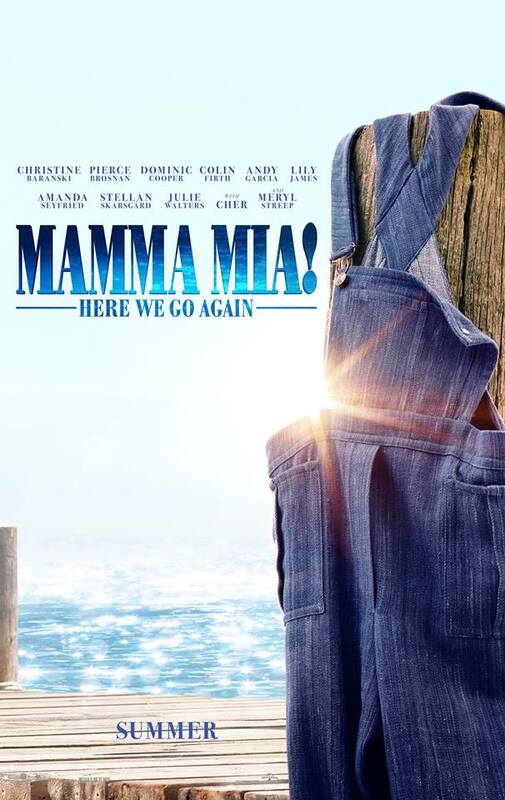 Check out the trailer of Mamma Mia! Here We Go Again. And what can you say about Cher's surprising appearance! Mamma Mia! Here We Go Again hits cinemas on July 20, 2018. It's almost the end of the year and I haven't heard anything new from author Naomi Novik, and I got a little uncomfortable. See's been one of the top authors on my list to read since the release of her first Temeraire book, His Majesty's Dragon. She has been so secretive as of late and her latest book, Uprooted, released in 2015 is not helping her cause. It was such an enjoyable read and I can't get enough of her novels. Luckily, I found an update on the Verge, detailing her upcoming novel, Spinning Silver, which is a retelling of Rumpelstiltskin and written in the same vein as Uprooted. 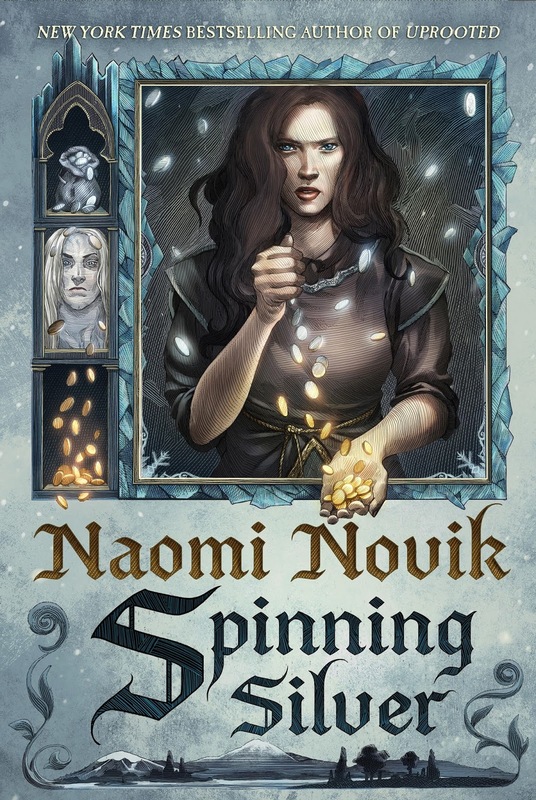 Check out the cover of Spinning Silver by Naomi Novik. A fresh and imaginative retelling of the Rumpelstiltskin fairytale from the bestselling author of Uprooted, called "very enjoyable fantasy with the air of a modern classic" by The New York Times Book Review. Naomi Novik once again creates a wonderfully rich, multilayered fantasty world that readers will want to return to again and again. Spinning Silver by Naomi Novik will be released on July 10, 2018. 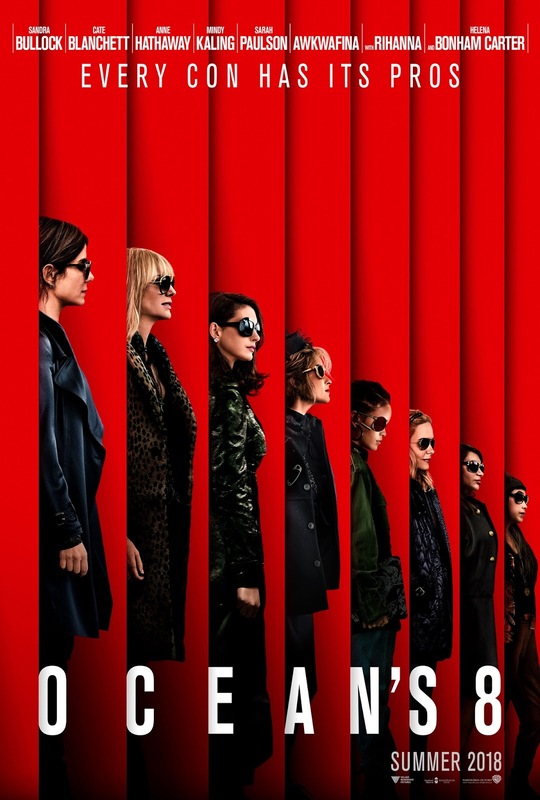 This Gary Ross-directed movie stars Sandra Bullock, Cate Blanchett, Anne Hathaway, Sarah Paulson, Mindy Kaling, Awkwafina, Rihanna, and Helena Bonham Carter. This Warner Bros. Pictures feature-length presentation is based on a screenplay written by Gary Ross and Olivia Milch and is produced by George Clooney and Steven Soderbergh. Check out the first trailer for Ocean's Eight. The tide has turned and it's a whole new "Ocean's" when a group of 8 plan and execute a heist in New York. Danny Ocean's estranged sister Debbie attempts to pull off the heist of the century at New York City's star-studded annual Met Gala. Her first stop is to assemble the perfect crew: Lou, Rose, Daphne Kluger, Nine Ball, Tammy, Amita, and Constance. Ocean's 8 will hit cinemas on June 8th, 2018. Teen Vogue has just unveiled the very first teaser trailer for Every Day, a movie adaptation of David Levithan's extraordinary book of the same title. This trailer would definitely make you wonder if everyone is really fated to one's soul mate... Ponder on that thought as you listen to P!nk's What About Us? song. This Michael Sucsy-directed movie stars Angourie Rice, Maria Bello, Debby Ryan, Jacob Batalon, Justice Smith, and Lucas Jade Zumann. It is based on the novel of the same title by David Levithan and was adapted to screen by Jesse Andrews. This Metro-Goldwyn-Mayer, Likely Story, and FilmWave feature-legnth presentation is produced by Anthony Bergman, Peter Cron, Christian Grass, and Paul Trijbits. 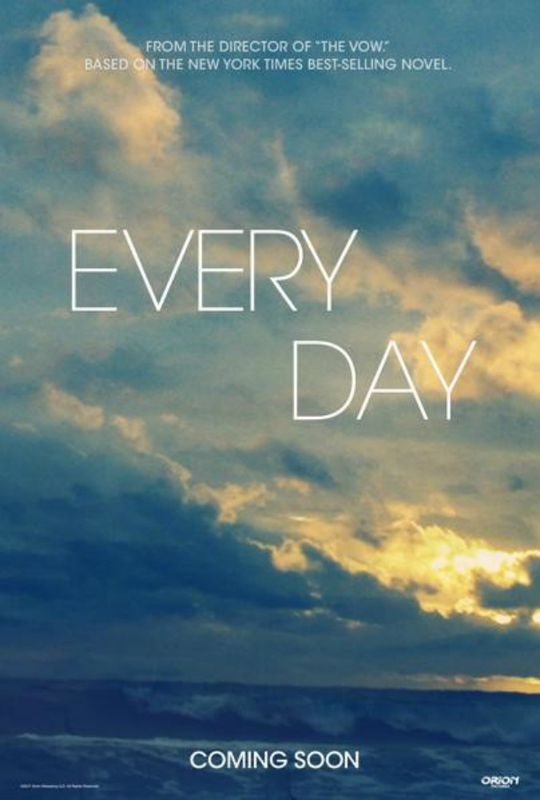 Check out the teaser trailer of Every Day. If, like me, you are eagerly waiting for the mid-2018 release of James Islington's final The Licanius Trilogy book, then you up for some surprise. Most book sellers originally listed the release of The Light of All That Falls by James Islington next year and that is the very reason I pre-ordered it already. Unfortunately I just received an update from the seller that the release date for the book was postponed so I will have to wait until February 2019 before I can have the copy. I cannot complain, of course, because I am not entitled to demand from authors when they are going to release their precious books that they had rigorously worked on with labor of Love. For now let us enjoy the official cover of The Light of All That Falls as this trilogy has some of the best book covers that you'll ever lay you eyes on (thanks to Lauren Panepinto for the jacket design and Dominic Saponaro for the jacket illustration). Checkout the cover of The Light of All That Falls by James Islington. The Light of All that Falls concludes the epic adventure that began in The Shadow of What Was Lost, the acclaimed fantasy blockbuster from James Islington. Banes now stalk Andarra, while in Ilin Illan, the political machinations of a generation come to a head as Wirr's newfound ability forces his family's old enemies into action. Finally, Caeden is confronted with the reality of the plan he laid centuries ago - heartbroken at how it began, and devastated by how it must end. 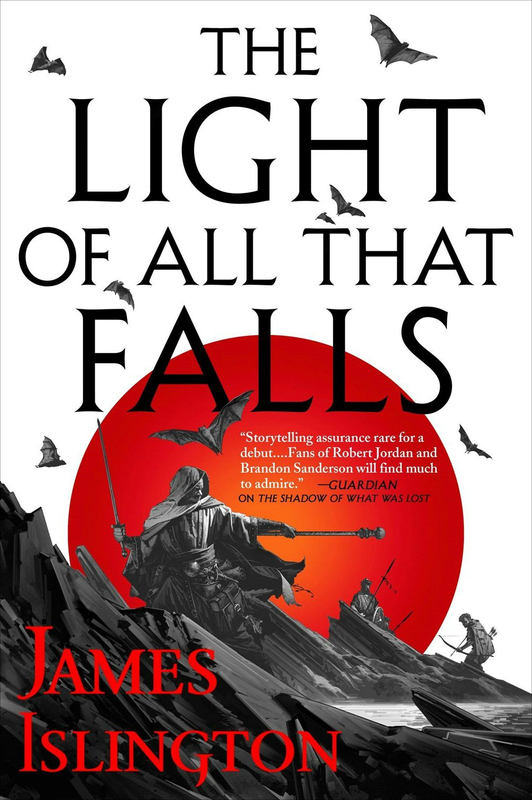 The Light of All That Falls by James Islington will be released on February 19, 2019. Carve The Mark by Veronica Roth fans, rejoice! The finale of this fantastic duology has come. The official title, cover, synopsis and release date have been revealed and I can't personally handle the excitement. And it's coming to us on the first quarter on next year. 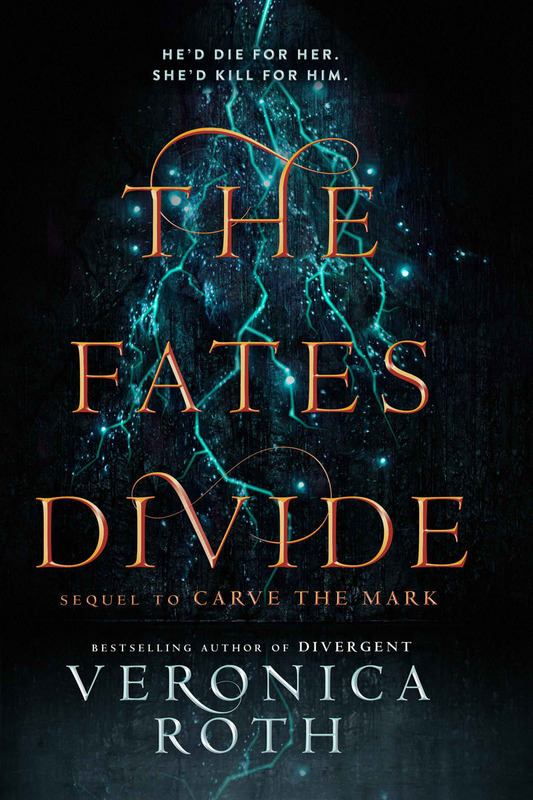 Presenting The Fates Divide by Veronica Roth, the much awaited sequel to Carve The Mark. Cyra Noavek and Akos Kereseth are back and the entanglement of their fates will get tighter and tighter... but, OMG (forgive my language and entitlement), I hate this OCD inducing feeling! The new cover is fantastic but it does not follow the format of the art of the first hardcover book. It follows the later paperback edition and it is killing. I am hoping there will be a boxed set the fixes this. Check out the cover of The Fates Divide by Veronica Roth. And here a video you can enjoy. The Fates Divide by Veronica Roth will be released on April 10, 2018. 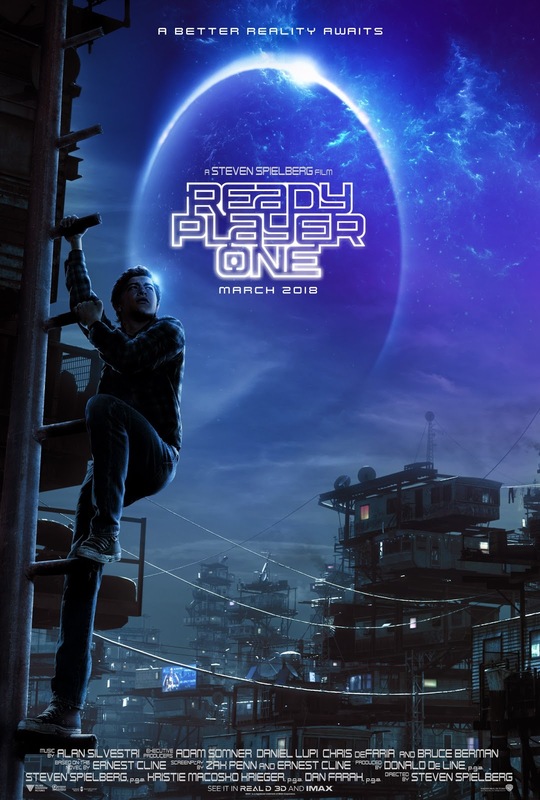 Ready Player One is directed by Steven Spielberg, one of the icons that made it to the book. 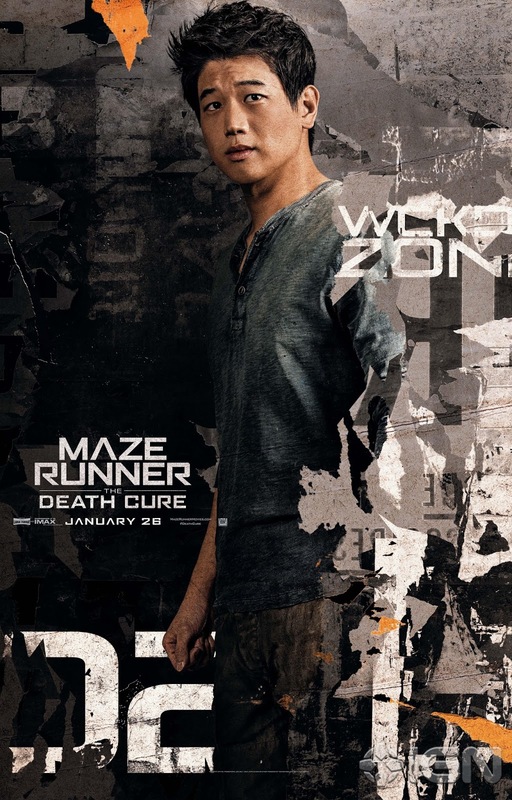 But apparently, he has written himself out of the movie, not entirely but drastically. On the other hand, the movie stars Tye Sheridan, Olivia Cooke, Ben Mendelsohn, and T.J. Miller, with Simon Pegg and Mark Rylance. The film was produced by Donald De Line, Spielberg, Kristie Macosko Krieger, and Dan Farah based on the screenplay by Zak Penn and Ernest Cline. The executive producers are Adam Somner, Daniel Lupi, Chris DeFaria, and Bruce Berman. Check out the new official trailer for Ready Player One. Ready Player One will hit cinemas on March 30, 2018. 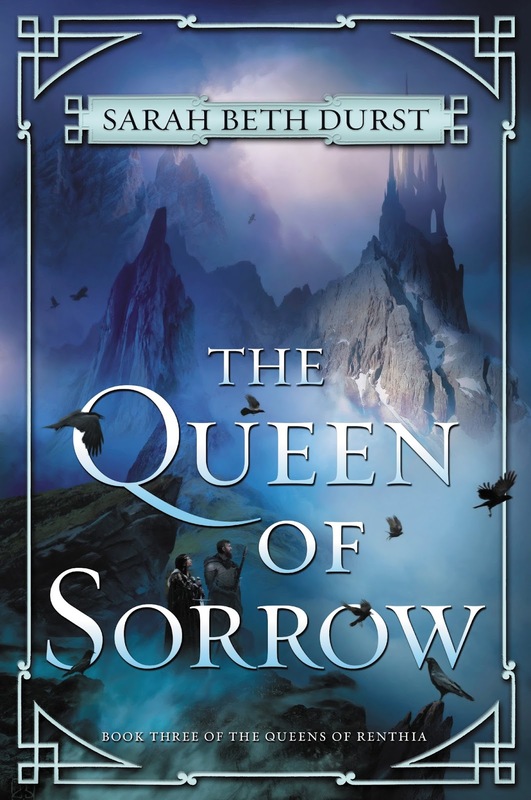 Following the success of The Queen of Blood and The Reluctant Queen comes the final book in Sarah Beth Durst's The Queens of Renthia trilogy: The Queen of Sorrow. If you are worried that this fantastic series about the furies of nature battling it out, and taking each and every opportunity to kill the human pests, you'll be happy to hear that there will be at least one more book from this universe after this one. But let's not get ahead of our selves yet and focus our attention to The Queen of Sorrow, which will be published next year. The official cover of the said book has been unveiled and this bluish beauty is unlike it's predecessors -- it does not feature the giant woods in it. Check out the official cover of The Queen of Sorrow by Sarah Beth Durst. The battle between vicious spirits and strong-willed queens that started in the award-winning The Queen of Blood and continued in the powerful The Reluctant Queen comes to a stunning conclusion in The Queen of Sorrow, the final volume of Sarah Beth Durst’s Queens of Renthia trilogy. Queen Daleina has yearned to bring peace and prosperity to her beloved forest home—a hope that seemed doomed when neighboring forces invaded Aratay. Now, with the powerful Queen Naelin ruling by her side, Daleina believes that her dream of ushering in a new era can be realized, even in a land plagued by malevolent nature spirits who thirst for the end of human life. And then Naelin’s children are kidnapped by spirits. Nothing is more important to her than her family, and Naelin would rather watch the world burn than see her children harmed. Blaming the defeated Queen Merecot of Semo for the kidnapping, Naelin is ready to start a war—and has the power to do it. But Merecot has grander plans than a bloody battle with her southern neighbors. Taking the children is merely one step in a plot to change the future of all Renthia, either by ending the threat of spirits once and for all . . . or plunging the world into chaos. The Queen of Sorrow by Sarah Beth Durst will be released on May 15, 2018. The Jurassic Park franchise is about to release its fifth installment with a roar! Come next year we will be thrilled once again, holding the edges of our seats, as we watch this dinosaur-filled wonder called Jurassic World: Fallen Kingdom. But if you can't wait until next year, at least watch the movie's newly released teaser trailer. This J. A. Bayona-directed movie sequel stars Chris Pratt, Bryce Dallas Howard, B. D. Wong, James Cromwell, Ted Levine, Justice Smith, Geraldine Chaplin, Daniella Pineda, Toby Jones, Rafe Spall, and Jeff Goldblum. The screenplay was written by Colin Trevorrow and Derek Connolly, with Steven Spielberg and Colin Trevorrow as executive producers. The movie is produced by Frank Marshall, Patrick Crowley, and Belén Atienza. Check out the new teaser trailer of Jurassic World: Fallen Kingdom. 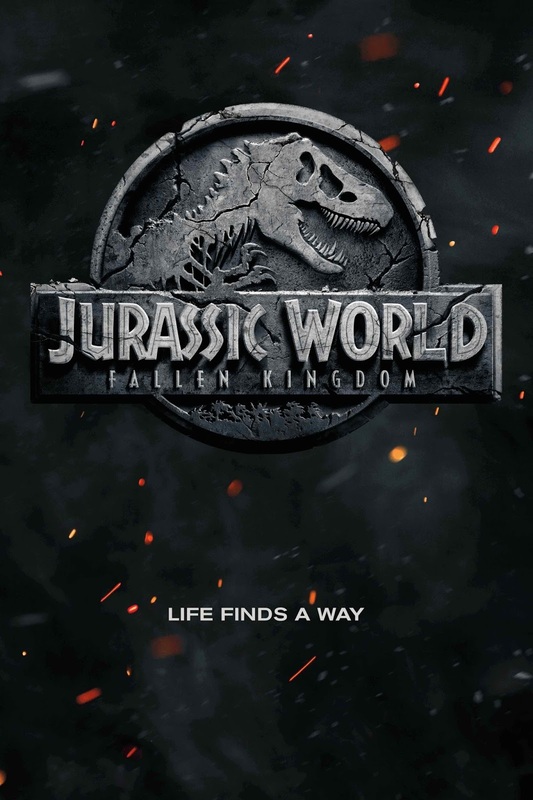 Jurassic World: Fallen Kingdom hits cinemas on June 22, 2018. 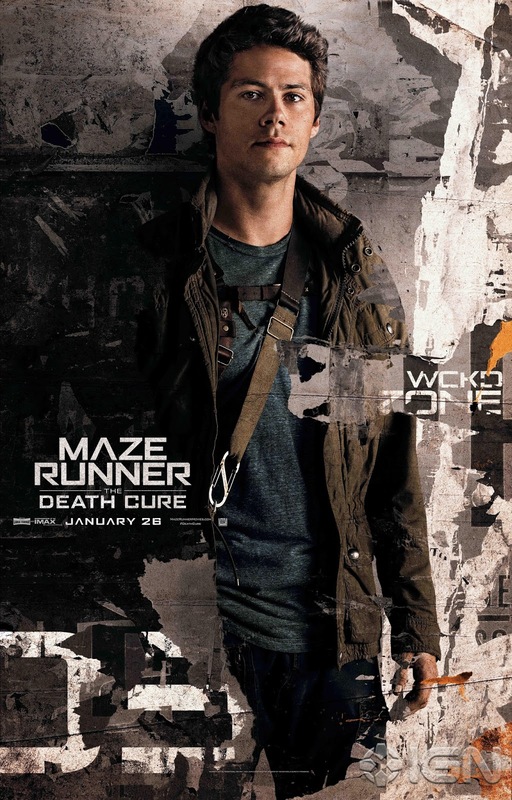 After a long hiatus due to the unfortunate accident of the movie's main star, Dylan O'Brien, Maze Runner: The Death Cure is finally back on track to be released early next year. 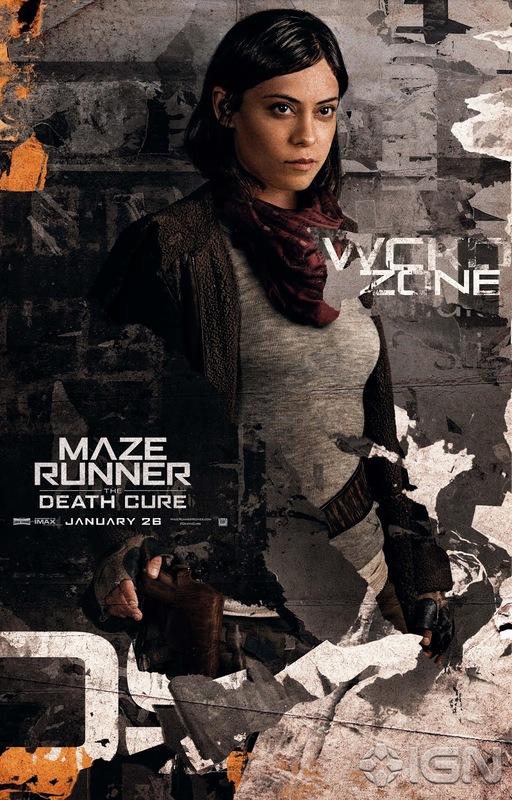 The movie's marketing machine is non-stop and just recently 6 new character posters, featuring some of our favorites cast, have been released in the wild. I suspect there will be more coming our way. 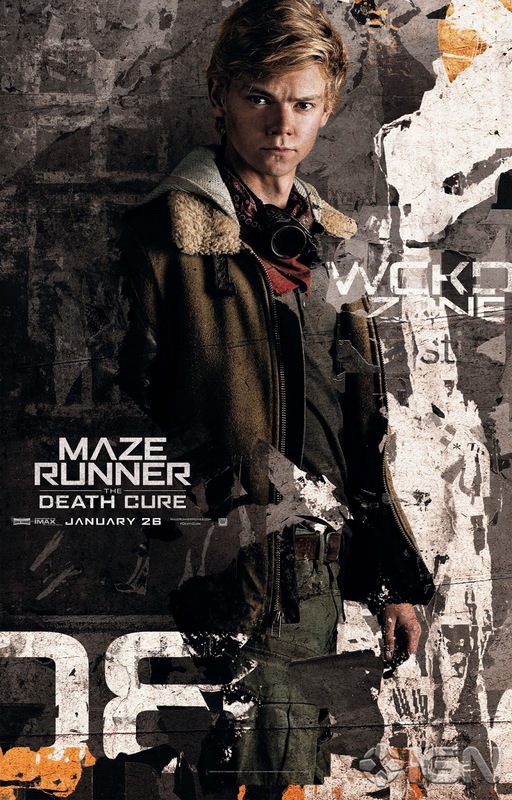 This Wes Ball-directed movie adaptation of a novel of the same name written by James Dashner stars Dylan O'Brien, Kaya Scodelario, Thomas Brodie-Sangster, Nathalie Emmanuel, Giancarlo Esposito, Aidan Gillen, Walton Goggins, Ki Hong Lee, Barry Pepper, Will Poulter, and Patricia Clarkson. It is written for the wide screen by T.S. Nowlin. The 20th Century Fox feature-length presentation is produced by Ellen Goldsmith-Vein, Wyck Godfrey, Marty Bowen, Lee Stollman, and Wes Ball. 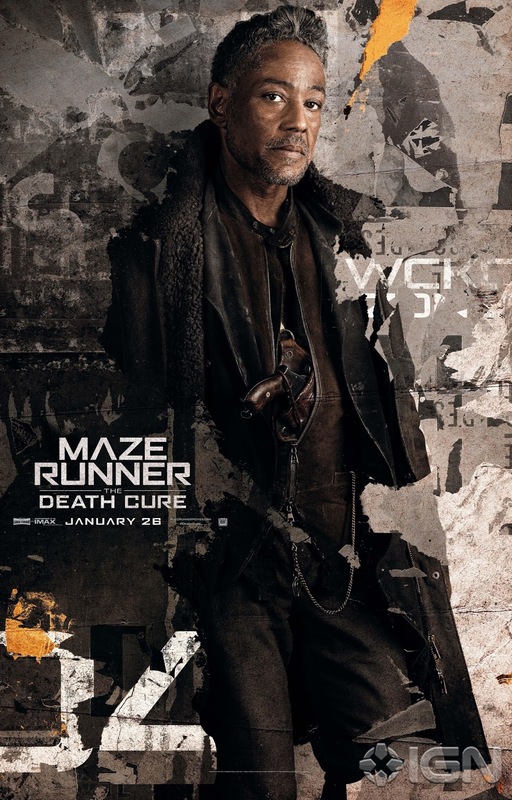 Check out these new character posters for Maze Runner: The Death Cure. 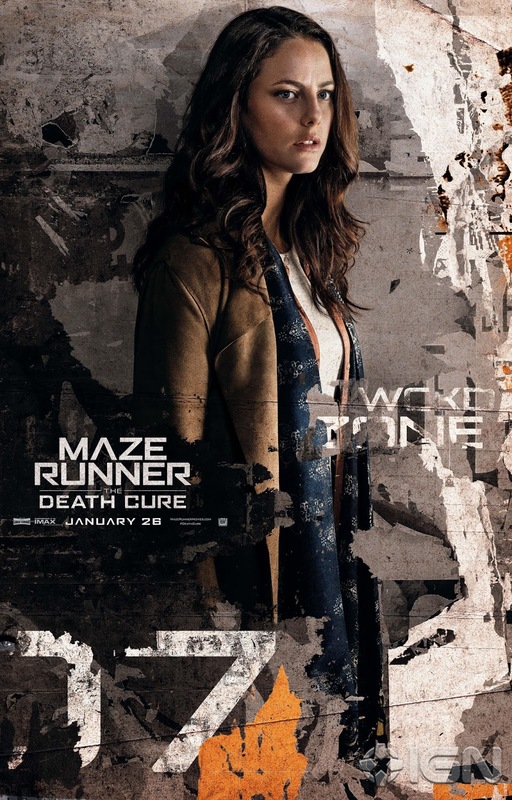 Maze Runner: The Death Cure will hit cinemas on January 26, 2018.